DDV Named Finalist in AUVSI’s Technology Innovation Awards! 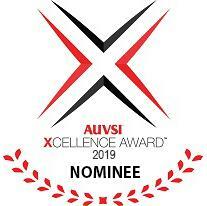 Delta Digital Video’s H.265 Rugged Video Encoders have been nominated for an AUVSI Xcellence Technology Innovation Award in the Vision / Camera Systems & Components category! AUVSI Xcellence Awards honor innovations in the unmanned systems community that demonstrate a commitment to advancing technology, leading and promoting safe operations and developing programs that use unmanned systems to improve the human condition. Winners will be announced at AUVSI Xponential 2019 in Chicago, IL.